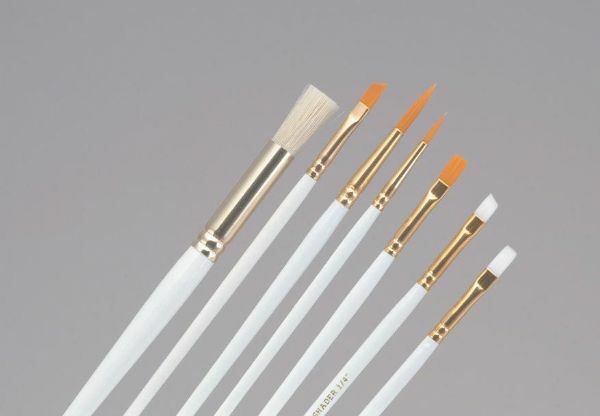 Art and craft brushes in value packs. * All purpose natural bristle for acrylic and oil paints. * Set includes fan 4 round 4 and 6 flat 6. * Contents subject to change. 7.25" x 0.25" x 0.25"